At all times we give respectful assistance with bathing, dressing, hair styling, manicures/pedicures, toileting and other Activities of Daily Living. We ensure that all medication is taken promptly and in accordance with the physician’s orders. Caregivers also provide general supervision and ambulatory assistance to ensure safety and well-being. Our home is designed with our Residents in mind. Our wider doorways and halls, safety rails throughout, raised toilets, walk-in showers and an easy to maneuver floor plan ensure ease of living. Freedom from loneliness is crucial to mental health. At Heart and Hand we are all “family” who provide each other with conversation, entertainment and daily emotional support. All of our meals and snacks are prepared on site from scratch. Individual preferences and dietary restrictions are of highest priority. One of our owners has a background in home economics and it is her passion that every Resident is satisfied with our meals as well as our menus. We sit for both the luncheon and dinner meals as a family. This promotes easy and friendly conversations between Residents and staff members. Basic everyday household chores are performed regularly. From personal laundry service and room cleaning, to linen changing. We never let one of our Residents go to a medical appointment without being accompanied, either by a family member or one of our caring staff. We assume the role of an advocate for our Residents, therefore we are present to take notes and ask questions of the medical professional. Our repoire with local medical professionals and pharmacies is one we are proud of. A thoughtfully planned calendar of life-enriching activities and exercise classes is part of our daily routine. We also have off site outings scheduled which keep our Residents entertained and engaged. We celebrate every conceivable holiday and birthday with special food, decorations and entertainment. We are licensed for dementia care. We also offer hospice and palliative care. 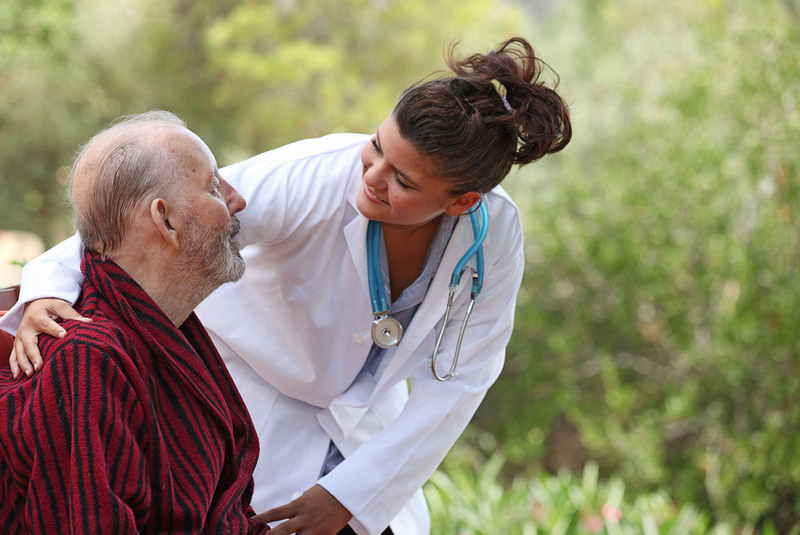 We work closely with home health agencies. Our relationship with local doctors and health care providers is outstanding. We feel we are the Residents’ advocate when it comes to their individual well-being.